The cover of Einstein’s Dreams (1) proclaims that it is a novel, as if there might be a doubt. Could this affirmation be an attempt to ward off those who would attempt to fit the book into a category? Or an encouragement? Can we blame the book for sparking an obsession to categorise it? Einstein’s Dreams certainly did stir me to thought and writing. Having listened to the ‘novel’, twice, it does seem more like a collection of short ‘stories’ cleverly linked together by a central theme, time, a number of leitmotifs and structural devices like heading each section with a date in 1905 even if what follows takes place at a different time. Just as the word ‘novel’ could be a subject of doubt, so ‘stories’ may not be the right word for these vignettes either. Already in the prologue, which, rather like a defining parenthesis taken with the epilogue, announces the colour, introducing us to Einstein, his work and dreams, the narration strays from the person and his story into enhanced lists which constitute one of the riches of the book, but which work against all identification with the character. These two parts along with a couple of ‘interludes’, where Einstein is briefly depicted in his daily life, are the closest we get to being able to loose ourselves in a story and even there we are often kept at a distance. That may be no failing of Alan Lightman’s work, but rather an indication of my expectations as a reader of novels. 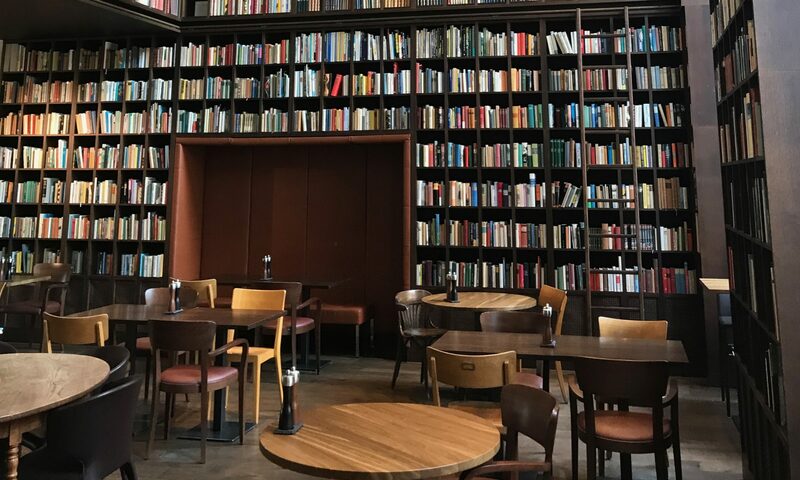 Much of the novel is about people rather than a person, it is about places rather than a given context, it is about multiple times rather than a time in particular. However, there are fragments of the singular, as opposed to the general, many of which are situated in Bern, Switzerland in the early nineteen hundreds, but none of them string together to make the story move forward. Instead they appear like bursts of life that flash into existence then blink out, leaving the reader delighted but perplexed about what binds them together. It is these rapid changes that give pace and rhythm to the narrative. Weaving its way amongst these colourful fragments and across the grey terrain of generalness is a convoluted monologue about time, exploring multiple worlds where time works differently. This exposé forms a segmented thread that twists its way through the story. But the result does not feel like a story. Why? Could it be the apparent lack of direction? Where direction implies a concatenation of time that links events together and whose absence leaves the reader frustrated. As such, the form of the novel would also be about time and its absence. But there is more, or rather less. Something is missing. A soul, maybe? A person? A character? Some lasting human warmth? Not even the narrator has a distinguishable character. Who is this narrator? A scientist fuelled by a will to observe, to understand, to lay bare? An anthropologist, continually measuring the worlds encountered against his own reality? A writer? Yes. Very certainly a man of words, a master even, feeding on his imagination, fascinated by what might be. A subtle satirist for sure, poking bitter sweet fun at our mundane preoccupations, our anchorage in a single time and place. And what better place to make light of time than Switzerland, the proclaimed capital of the world’s watch industry, where there are more clocks in the streets than banks. Yet Lightman’s visions are not observed, but constructed from fragments observed or imagined, woven together with a driving idea. It is a book of intent, reflecting Einstein’s obsession with time and relativity. But on close inspection, the warp and weft is pitted with incongruities. In a world in which time cannot be measured, can a merchant be upset by the short shelf-life of a product? Can a ballerina imagine an alternative step in a world where the future is fixed? Can a man in such a world contemplate choices when there are none? In so doing, the author blurs the perspective between that of the god-like narrator who can be in all times at once and that of his time-bound characters. This blurring of perspective resembles that of a dreamer for whom incongruous times and realities cohabit without shocking. As readers, do we buy into this suggestion of dreams? For all their potential bizarreness compared to our world, they are not the fruit of sleep, but rather the sharp imaginings of an overtaxed mind that is wide awake. To be fair, the author does say that, in his feverish pursuit of an understanding of time, Einstein no longer distinguishes dreams from reality. Can a reader, unfettered by a gripping story, but fascinated by the ideas exposed and the language used, ignore the need for congruency? Surely, as humans, we are particularly sensitive to the incongruent. Is it not through our natural distaste for dissonance that we learn to change our perspective. Yet, beyond all these personal struggles to contain the text, there is a brilliance and a sparkle in the writing that will not be tamed and can only leave the reader delighted. One sequence stands out towards the end of the book where time bounces back and forth between two mirrors, reflected in the reality of multiple worlds, reflected in the subtle variations of each repetition, diminishing in amplitude as it goes, till nothing is left but the memory of music. 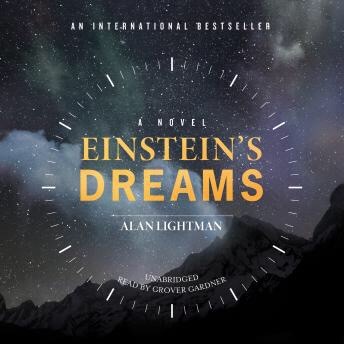 (1) I listened to the audiobook version of Einstein’s Dreams read by Grover Gardner, following a recommendation by Erin Morgenstern, author of The Night Circus.